Task: to present the benefits of plastic cards. Beeline payment cards allow to pay for products and services online and offline. With each transaction made with the card, owners get bonus points that can be used to buy products from Beeline stores or pay Internet, phone or TV bills. Moreover, owners of the cards occasionally receive gifts. All features of the cards and details of the program are presented on a special promo page, mock-ups of which were prepared at the studio. Description of each card contains information about its features. To make the official information less boring, the page is brightened with images of holidays and familiar household chores. 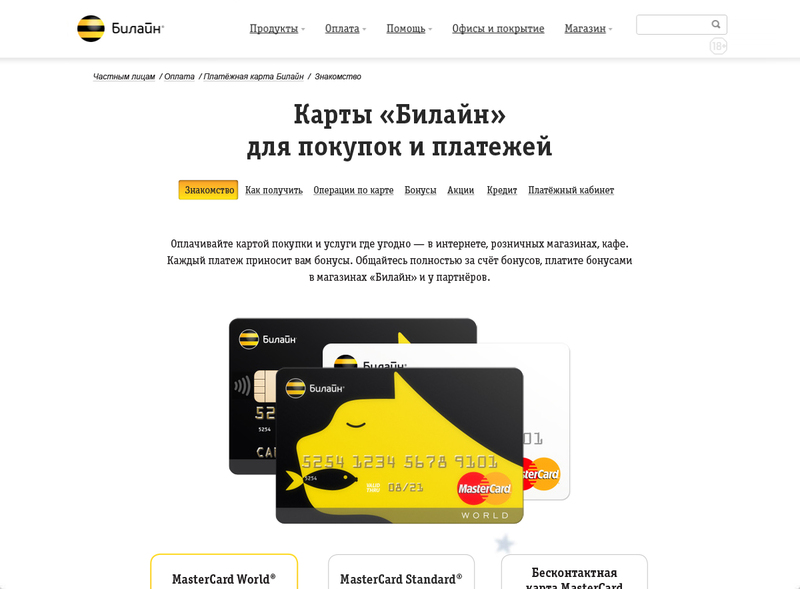 All three ways to manage the card—on the website, with the mobile app or SMS service—are briefly introduced with graphic illustrations. 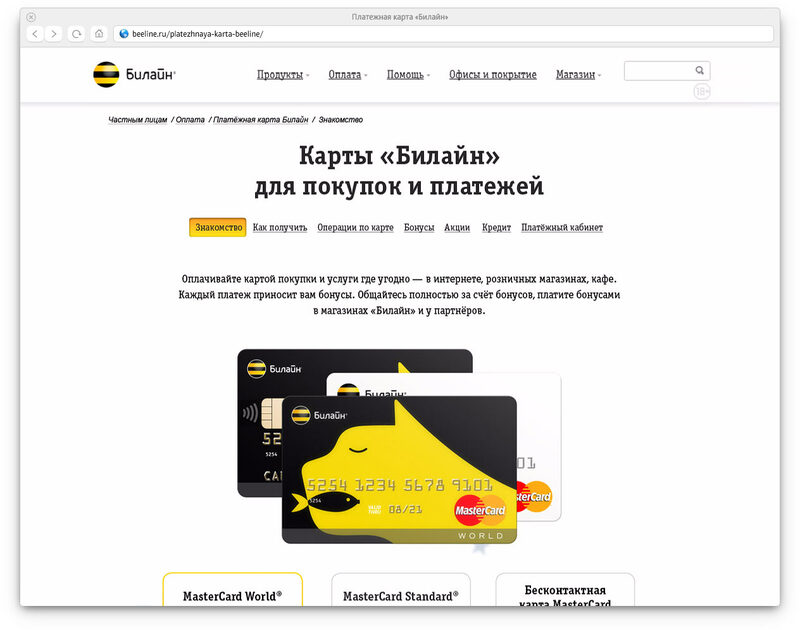 Beeline customers can visit the promo page, appreciate the unique features of the cards and make applications at the company’s offices.